We’ve Added Another New Coastal Gem! Welcome Breakwater Inn & Spa in Kennebunkport. 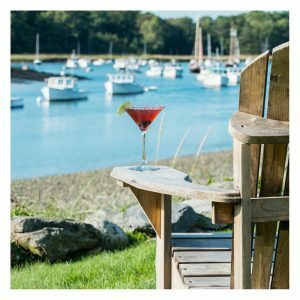 At the point where the river spills into the Atlantic Ocean sits a captivating Kennebunkport hotel — The Breakwater Inn & Spa. One of the Port’s oldest inns, our original 1880’s Maine cottage architecture evokes the soothing tranquility of a bygone era — where the allure of a good book or a glass of wine enjoyed in a chair pointed toward the water never goes out of style. Stripers Waterside Restaurant boasts an enviable location ​overlooking the Kennebunk River. Our locally sourced menu features the freshest Maine seafood, while our location offers beautiful waterfront views.